Acting on the Memorandum of the Committee on SEC Cases submitting for this Court's consideration and approval the Interim Rules of Procedure on Corporate Rehabilitation, the Court Resolved to approve the same. The Interim Rules shall take effect on December 15, 2000 following its publication in two (2) newspapers of general circulation not later than November 26, 2000. Section 1. Scope. 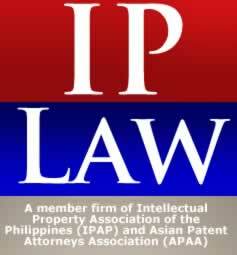 - These Rules shall apply to petitions for rehabilitation filed by corporations, partnerships, and associations pursuant to Presidential Decree No. 902-A, as amended. Sec. 2. Applicability to Rehabilitation Cases Transferred from the Securities and Exchange Commission. - Cases for rehabilitation transferred from the Securities and Exchange Commission to the Regional Trial Courts pursuant to Republic Act No. 8799, otherwise known as The Securities Regulation Code, shall likewise be governed by these Rules. "Administrative expenses" shall refer to those expenses incurred in the ordinary course of business of the debtor after the issuance of the stay order, excluding interest payable to creditors. "Affidavit of General Financial Condition" shall refer to a verified statement on the general financial condition of the debtor required in Section 2, Rule 4 of these Rules. "Board of Directors" shall include the executive committee or the management of a partnership or association. "Claim" shall include all claims or demands of whatever nature or character against a debtor or its property, whether for money or otherwise. "Creditor" shall mean any holder of a Claim. "Court" shall refer to the proper Regional Trial Court designated to hear and decide the cases contemplated under these Rules. "Debtor" shall mean any corporation, partnership, or association, whether supervised or regulated by the Securities and Exchange Commission or other government agencies, on whose behalf a petition for rehabilitation has been filed under these Rules. "Stockholder" shall include a member of a non-stock corporation or association, in a partnership. Sec. 2. Construction. - These Rules shall be liberally construed to carry out the objectives of Sections 5(d), 6(c) and 6(d) of Presidential Decree No. 902-A, as amended, and to assist the parties in obtaining a just, expeditious, and inexpensive determination of cases. Where applicable, the Rules of Court shall apply suppetorily to proceedings under these Rules. Any pleading, motion, opposition, defense, or claim filed by any interested party shall be supported by verified statements that the affiant has read the same and that the factual allegations therein are true and correct of his personal knowledge or based on authentic records and shall contain as annexes such documents as may be deemed by the party submitting the same as supportive of the allegations in the affidavits. The court may decide matters on the basis of affidavits and other documentary evidence. Where necessary, the Court shall conduct clarificatory hearings before resolving any matter submitted to it for resolution. Sec. 2. Venue. - Petitions for rehabilitation pursuant to these Rules shall be filed in the Regional Trial Court having jurisdiction over the territory where the debtor's principal office is located. Sec. 3. Service of Pleadings and Documents. 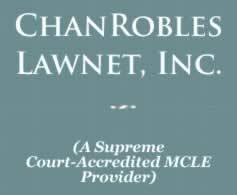 - When so authorized by the Court, any pleading and/or document required by these Rules may be filed with the Court and/or served upon the other parties by facsimile transmission (fax) or electronic mail (e-mail). In such cases, the date of transmission shall be deemed to be the date of service. In case of a voluminous pleading or document, the Court may motu proprio or upon motion, waive the requirement of service, provided, a copy thereof together with all its attachments is duly filed with the court and is made available for examination and reproduction by any party, and provided, further, that a notice of such filing and availability is duly served on the parties. Sec. 4. Trade Secrets and Other Confidential Information. - On motion or on its own initiative, the court may issue an order to protect trade secrets or other confidential research, development, or commercial information belongings to the debtor. Sec. 5. Executory Nature of Orders. - Any order issued by the court under these Rules is immediately executory. A petition for review or an appeal therefrom shall not stay the execution of the order unless restrained or enjoined by the appellate court. The review of any order or decision of the court or an appeal therefrom shall be in accordance with the Rules of Court: Provided, however, that the reliefs ordered by the trial or appellate courts shall take into account the need for resolution of proceedings in a just, equitable, and speedy manner. Section 1. Who May Petition. - Any debtor who foresees the impossibility of meeting its debts when they respectively fall due, or any creditor or creditors holding at least twenty-five percent (25%) of the debtor's total liabilities, may petition the proper Regional Trial Court to have the debtor placed under rehabilitation. Sec. 2. Contents of the Petition. - The petition filed by the debtor must be verified and must set forth with sufficient particularly all the following material facts: (a) the name and business of the debtor; (b) the nature of the business of the debtor; (c) the history of the debtor; (d) the cause of its inability to pay its debts; (e) all the pending actions or proceedings known to the debtor and the courts or tribunals where they are pending; (f) threats or demands to enforce claims or liens against the debtor; and (g) the manner by which the debtor may be rehabilitated and how such rehabilitation may benefit the general body of creditors, employees, and stockholders. k. A Certificate attesting, under oath, that the (a) filing of the petition has been duly authorized; and (b) the directors and stockholders have irrevocably approved and/or consented to, in accordance with existing laws, all actions or matters necessary and desirable to rehabilitate the debtor including, but not limited to, amendments to the articles of incorporation and by-laws or articles of partnership; increase or decrease in the authorized capital stock; issuance of bonded indebtedness; alienation, transfer, or encumbrance of assets of the debtor; and modification of shareholders' rights. Five (5) copies of its petition shall be filed with the court. I, ___________________________, (position) of (name of petitioner), do solemnly swear that the petitioner has been duly authorized to file the petition and that the stockholders and board of directors (or governing body) have approved and/or consented to, in accordance with law, all actions or matters necessary or desirable to rehabilitate the debtor. There is no petition for insolvency filed with any other body, court, or tribunal affecting the petitioner. The Inventory of Assets and the Schedule of Debts and Liabilities contains a full, correct, and true description of all debts and liabilities and of all goods, effects, estate, and property of whatever kind or class belonging to petitioner. The Inventory also contains a full, correct, and true statement of all debts owing or due to petitioner, or to any person or persons in trust for petitioner and of all securities and contracts whereby any money may hereafter become due or payable to petitioner or by or through which any benefit or advantage may accrue to petitioner. The petition contains a concise statement of the facts giving rise, or which might give rise, to any cause of action in favor of petitioner. Petitioner has no land, money, stock, expectancy, or property of any kind, except those set forth in the Inventory of Assets. Petitioner has, in no instance, created or acknowledged a debt for a greater sum than the true and correct amount. Petitioner, its officers, directors, and stockholders have not, directly or indirectly, concealed, fraudulently sold or otherwise fraudulently disposed of, any part of petitioner's real or personal property, estate, effects, or rights of action, and petitioner, its officers, directors, and stockholders have not in any way compounded with any of its creditors in order to give preference to such creditors, or to receive or to accept any profit or advantage therefrom, or to defraud or deceive in any manner any creditor to whom petitioner is indebted. Petitioner, its officers, directors, and stockholders have been acting in good faith and with due diligence. Sec. 4. Creditor-initiated Petitions. - Where the petition is filed by a creditor or creditors, it is sufficient that the petition is accompanied by a rehabilitation plan and a list of nominees to the position of Rehabilitation Receiver and verified by a sworn statement that the affiant has read the petition and that its contents are true and correct of his personal knowledge or based on authentic records obtained from the debtor. Sec. 5. Rehabilitation Plan. - The rehabilitation plan shall include (a) the desired business targets or goals and the duration and coverage of the rehabilitation; (b) the terms and conditions of such rehabilitation which shall include the manner of its implementation, giving due regard to the interests of secured creditors; (c) the material financial commitments to support the rehabilitation plan; (d) the means for the execution of the rehabilitation plan, which may include conversion of the debts or any portion thereof to equity, restructuring of the debts, dacion en pago, or sale of assets or of the controlling interest; (e) a liquidation analysis that estimates the proportion of the claims that the creditors and shareholders would receive if the debtor's properties were liquidated; and (f) such other relevant information to enable a reasonable investor to make an informed decision on the feasibility of the rehabilitation plan. Sec. 6. Stay Order. - If the court finds the petition to be sufficient in form and substance, it shall, not later than five (5) days from the filing of the petition, issue an Order (a) appointing a Rehabilitation Receiver and fixing his bond; (b) staying enforcement of all claims, whether for money or otherwise and whether such enforcement is by court action or otherwise, against the debtor, its guarantors and sureties not solidarily liable with the debtor; (c) prohibiting the debtor from selling, encumbering, transferring, or disposing in any manner any of its properties except in the ordinary course of business; (d) prohibiting the debtor from making any payment of its liabilities outstanding as at the date of filing of the petition; (e) prohibiting the debtor's suppliers of goods or services from withholding supply of goods and services in the ordinary course of business for as long as the debtor makes payments for the services and goods supplied after the issuance of the stay order; (f) directing the payment in full of all administrative expenses incurred after the issuance of the stay order; (g) fixing the initial hearing on the petition not earlier than forty five (45) days but not later than sixty (60) days from the filing thereof; (h) directing the petitioner to publish the Order in a newspaper of general of general circulation in the Philippines once a week for two (2) consecutive weeks; (i) directing all creditors and all interested parties (including the Securities and Exchange Commission) to file and serve on the debtor a verified comment on or opposition to the petition, with supporting affidavits and documents, not later than ten (10) days before the date of the initial hearing and putting them on notice that their failure to do so will bar them from participating in the proceedings; and (j) directing the creditors and interested parties to secure from the court copies of the petition and its annexes within such time as to enable themselves to file their comment on or opposition to the petition and to prepare for the initial hearing of the petition. Sec. 7. Service of Stay Order on Rehabilitation Receiver. - The petitioner shall immediately serve a copy of the stay order on the Rehabilitation Receiver appointed by the court, who shall manifest his acceptance or non-acceptance of his appointment not later than ten (10) days from receipt of the order. Sec. 8. Voidability of Illegal Transfers and Preferences. - Upon motion or motu proprio, the court may declare void any transfer of property or any other conveyance, sale, payment, or agreement made in violation of its stay order or in violation of these Rules. Sec. 9. Initial Hearing. - On or before the initial hearing, the petitioner shall file the publisher's affidavit showing that the publication requirements specified above had been complied with. If the court is satisfied that said jurisdictional requirement had been complied with, it shall summarily hear the parties on any matter relating to the petition as well as any comment and/or opposition filed in connection therewith. The court may hold additional clarificatory hearings where there is need to further clarify matters but in no event shall such additional hearings be held beyond one hundred eighty (180) days from the date of the initial hearing. If, after the initial hearing, the court is satisfied that there is merit in the petition, it shall give due course to the petition and immediately refer the petition and its annexes to the Rehabilitation Receiver who shall evaluate the rehabilitation plan and submit his recommendations to the court not later than one hundred twenty (120) days from the date of the initial hearing. Sec. 10. Opposition to or Comment on the Petition. - Every creditor of the debtor or any interested party shall file his verified opposition to or comment on the petition not later than ten (10) days before the date of the initial hearing. After such time, no creditor or interested party shall be allowed to file any comment or opposition thereto without leave of court. If the Schedule of Debts and Liabilities omits a claim or liability, the creditor concerned shall attach a verified statement of the obligations allegedly due it to its comment or opposition. The court shall likewise require the Securities and Exchange Commission to comment on the petition. The Commission shall coordinate with the government agency concerned in appropriate cases for purposes of filing its comment. Sec. 11. Period of the Stay Order. - The stay order shall be effective from the date of its issuance until the dismissal of the petition or the termination of the rehabilitation proceedings. The petition shall be dismissal if no rehabilitation plan is approved by the court upon the lapse of one hundred eighty (180) days from the date of the initial hearing. The court may grant an extension beyond this period only if it appears by convincing and compelling evidence that the debtor may successfully be rehabilitated. In no instance, however, shall the period for approving or disapproving a rehabilitation plan exceed eighteen (18) months from the date of filing of the petition. Sec. 12. Relief from, Modification, or Termination of Stay Order. - The court may, on motion or motu proprio, terminate, modify, or set conditions for the continuance of the stay order, or relieve a claim from the coverage thereof upon showing that (a) any of the allegations in the petition, or any of the contents of any attachment, or the verification thereof has ceased to be true; (b) a creditor does not have adequate protection over property securing its claim; or (c) the debtor's secured obligation is more than the fair market value of the property subject of the stay and such property is not necessary for the rehabilitation of the debtor. c. the property has depreciated to an extent that the creditor is undersecured. 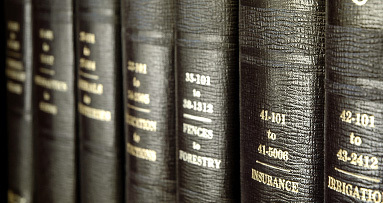 Upon showing of a lack of adequate protection, the court shall order the rehabilitation receiver to (a) make arrangements to provide for the insurance or maintenance of the property, or (b) to make payments or otherwise provide additional or replacement security that the obligation is fully secured. If such arrangements are not feasible, the court shall modify the stay order to allow the secured creditor lacking adequate protection to enforce its claim against the debtor; Provided, however, that the court may deny the creditor the remedies in this paragraph if such remedies would prevent the continuation of the debtor as a going concern or otherwise prevent the approval and implementation of a rehabilitation plan. f. Willingness and ability to file a bond in such amount as may be determined by the court. f. He has any other direct or indirect material interest in the debtor or any creditor. Sec. 14. Powers and Functions of the Rehabilitation Receiver. - The Rehabilitation Receiver shall not take over the management and control of the debtor but shall closely oversee and monitor the operations of the debtor during the pendency of the proceedings, and for this purpose shall have the powers, duties and functions of a receiver under Presidential Decree No. 902-A, as amended, and the Rules of Court. (aa) To exercise such other powers as may from time to time be conferred upon him by the court. Sec. 15. Oath and Bond. - Before entering upon his powers duties, and functions, the Rehabilitation Receiver must be sworn to perform them faithfully, and must post a bond executed in favor of the debtor in such sum as the court may direct, to guarantee that he will faithfully discharge his duties and obey the orders of the court. If necessary, he shall also declare under oath that he will perform the duties of a trustee of the assets of the debtor, will act honestly and in good faith, and deal with the assets of the debtor in a commercially reasonable manner. Sec. 16. Fees and Expenses. - The Rehabilitation Receiver and the persons hired by him shall be entitled to reasonable professional fees and reimbursement of expenses which shall be considered as administrative expenses. Sec. 17. Immunity from Suit. 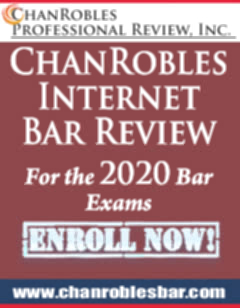 - The Rehabilitation Receiver shall not be subject to any action, claim, or demand in connection with any act done or omitted by him in good faith in the exercise of his functions and powers herein conferred. Sec. 18. Reports. - The Rehabilitation Receiver shall report every three months to the court or as often as the court may require on the general condition of the debtor. Sec. 19. Dismissal of Rehabilitation Receiver. - A Rehabilitation Receiver may be dismissed by the court, upon motion or motu proprio, on account of conflict of interest, or on any of the grounds for removing a trustee under the general principles of trusts. Sec. 20. Comments on or Opposition to the Rehabilitation Plan. - Any creditor or interested party or record may file comments on or opposition to the proposed rehabilitation plan, with a copy given to the Rehabilitation Receiver, not later than one hundred twenty (120) days from the date of the initial hearing. The court shall conduct summary and non-adversarial proceedings to receive evidence, if necessary, in hearing the comments and opposition to the plan. Sec. 21. Creditors' Meetings. - At any time before he submits his evaluation on the rehabilitation plan to the court as prescribed in section 9, Rule 4 of this Rule, the Rehabilitation Receiver may, either alone or with the debtor, meet with the creditors or any interested party to discuss the plan with a view to clarifying or resolving any matter connected therewith. Sec. 22. Modification of the Proposed Rehabilitation Plan. - The debtor may modify its rehabilitation plan in the light of the comments of the Rehabilitation Receiver and creditors or any interested party and submit a revised or substitute rehabilitation plan for the final approval of the court. Such rehabilitation plan must be submitted to the court not later than one (1) year from the date of the initial hearing. Sec. 23. Approval of the Rehabilitation Plan. - The court may approve a rehabilitation plan even over the opposition of creditors holding a majority of the total liabilities of the debtor if, in its judgment, the rehabilitation of the debtor is feasible and the opposition of the creditors is manifestly unreasonable. In approving the rehabilitation plan, the court shall issue the necessary orders or processes for its immediate and successful implementation. It may impose such terms, conditions, or restrictions as the effective implementation and monitoring thereof may reasonably require, or for the protection and preservation of the interests of the creditors should the plan fail. e. Any compromises on amounts or rescheduling of timing of payments by the debtor shall be binding on creditors regard less of whether or not the plan is successfully implemented. Sec. 25. Revocation of the Rehabilitation Plan on Grounds of Fraud. - On motion or motu proprio, within ninety (90) days from the approval of the rehabilitation plan, and after notice and hearing, the court may revoke the approval thereof on the ground that the same was secured through fraud. Sec. 26. Alteration or Modification of the Rehabilitation Plan. - An approved rehabilitation plan may, on motion, be altered or modified if, in the judgment of the court, such alteration or modification is necessary to achieve the desired targets or goals set forth therein. Sec. 27. Termination of Proceedings. - In case of the failure of the debtor to submit the rehabilitation plan, or the disapproval thereof by the court, or the failure of the rehabilitation of the debtor because of failure to achieve the desired targets or goals as set forth therein, or the failure of the said debtor to perform its obligations under the said plan, or a determination that the rehabilitation plan may no longer be implemented in accordance with its terms, conditions, restrictions, or assumptions, the court shall upon motion, motu proprio, or upon the recommendation of the Rehabilitation Receiver, terminate the proceedings. The proceedings shall also terminate upon the successful implementation of the rehabilitation plan. Sec. 28. Discharge of the Rehabilitation Receiver. - Upon termination of the rehabilitation proceedings, the Rehabilitation Receiver shall submit his final report and accounting within such period of time as the court will allow him. Upon approval of his report and accounting, the court shall order his discharge. Section 1. Severability. - If any provision or section of these Rules is held invalid, the other provisions or sections shall not be affected thereby. Sec. 2. Effectivity. - These Rules shall take effect on December 15, 2000 following its publication in two (2) newspapers of general circulation in the Philippines. (1) Are you an officer of the debtor referred to in these proceedings? (2) What is your full name and what position do you hold in the debtor? (3) What is the full name of the debtor and what is the address of its head office? (4) When was it formed or incorporated? (5) When did the debtor commence business? (6) What is the nature of its business? What is the market share of the debtor in the industry in which it is engaged? (7) Who are the parties, members, or stockholders? How many employees? (8) What is the capital of the debtor? (9) What is the capital contribution and what is the amount of the capital, paid and unpaid, of each of the partners or shareholders? (10) Do any of these people hold the shares in trust for others? (11) Who are the directors and officers of the debtors? (12) Has the debtor any subsidiary corporation? If so, give particulars? (13) Has the debtor properly maintained its books and are they updated? (14) Were the books audited annually? (15) If so, what is the name of the auditor and when was the last audited statement drawn up? (16) Have all proper returns been made to the various government agencies requiring same? (17) When did the debtor first become aware of its problems? (a) made any payments, returned any goods or delivered any property to any of its creditors, except in the normal course of business? (b) executed any mortgage, pledge, or security over any of its properties in favor of any creditor? 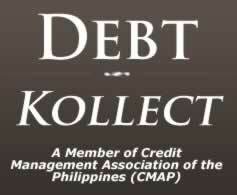 (c) transferred or disposed of any of its properties in payment of any debt? (d) sold, disposed of, or removed any of its property except in the ordinary course of business? (e) sold any merchandise at less than fair market value or purchased merchandise or services at more than fair market value? (f) made or been a party to any settlement of property in favor of any person? (19) Has the debtor recorded all sales or dispositions of assets? (20) What were the sales for the last three years and what percentage of the sales represented the profit or mark-up? (21) What were the profits or losses for the debtor for the last three years? (22) What are the causes of the problems of the debtor? Please provide particulars? (23) When did you first notice these problems and what actions did the debtor take to rectify them? (24) How much do you estimate is needed to rehabilitate the debtor? (25) Has any person expressed interest in investing new money into the debtor? (26) Are there any pending and threatened legal actions against the debtor? If so, please provide particulars. (27) Has the debtor discussed any restructuring or repayment plan with any of the creditors? Please provide status and details. (28) Has any creditor expressed interest in restructuring the debts of the debtor? If so, please give particulars. (29) Have employees' wages and salaries been kept current? If not, how much are in arrears and what time period do the arrears represent? (30) Have obligation to the government and its agencies been kept current? If not, how much are in arrears and what time period do the arrears represent?